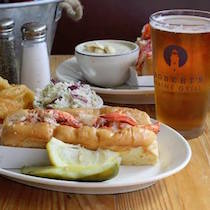 WHAT I LIKE ABOUT YOU…Robert’s Maine Grill! A place where community is present; where supporting local isn’t just said, but truly lived. A place where employees are happy because they must be treated well. A restaurant where, amidst a bustling tourist scene, locals choose to go. 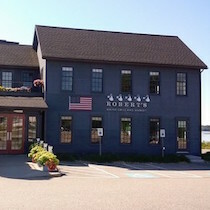 This is what I liked most about my first trip to Robert’s Maine Grill in Kittery, Maine. 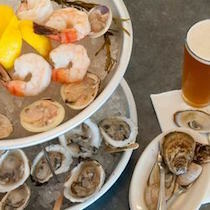 This Route One seafood icon has fancied up the outlet malls since the summer of 2006, when it became the younger brother to the famous Bob’s Clam Hut. 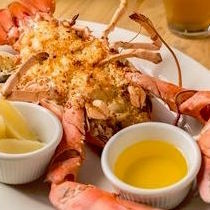 The menu boasts a large selection of locally-sourced dishes for seafood lovers and vegetarians alike. What I enjoyed most were the fish taco and chocolate cake. Did you know all their desserts come in bite-sized portions too?? 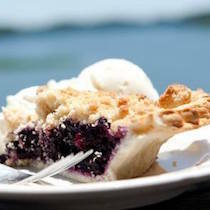 Owner Michael Landgarten (who also owns Lil’s Cafe in Kittery) puts an emphasis on the seacoast community; this is present throughout the entire dining experience. 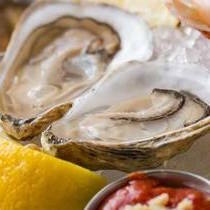 On the menu, you’ll find a list of local farms and seafood purveyors that Robert’s proudly sources from. Many of them are based in Kittery! Local artists’ work and photos from the Maine coast cover the walls, adding unique, coastal charm. The art is available for purchase so be prepared to leave with more than a full stomach and a smile:). During the week, Robert’s hosts a variety of specials which might be a little more enticing if you’ve just gone wild at the outlets! My favorite? The Community Suppers. Every Tuesday and Wednesday evening, Robert’s prepares a three-course meal for $14.00. A portion of the proceeds from the night go to a selected local non-profit. If that’s not something that will make you want to go out to dinner on a weekly basis, I don’t know what will! It’s wonderful to see a local business that gives so much back to the community. Thank you Michael Landgarten and the Robert’s family for using your work to do so much good on the seacoast. It makes me even more proud to be from this incredible community. How about you? 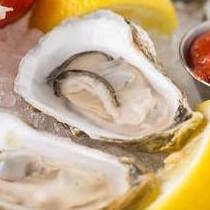 Thursday– Thirsty Thursday – $3.00 off specialty cocktails! Sunday– Sunday Stew and 1/2 Price Wine Bottles! Thank you, Robert’s for an enjoyable collaboration. 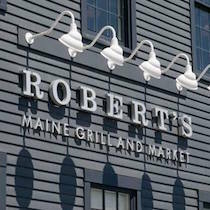 *Photos c/o Robert’s Maine Grill.